My dad has been offered a job in Beijing, China. Its the craziest news we've gotten since we moved back to Sweden. In the past, we've always followed him everywhere. From place to place, we made a new home and I've loved it. I think it takes a certain type of person to be able to thrive in that sort of ever-changing environment. My experiences have made me realize that they are what makes us who we are. If I had stayed in the suburb outside of Stockholm I was born in almost 19 years ago I would be a completely different person than who I am today...Thinking about that always makes me smile, our experiences, "our lives" change and create "who we are". But this time, when my dad moves we aren't going with him. My mom is staying here, working here in Stockholm, and I'm not forced to go because of not attending school at the moment, but I sort of wish I was. We've travelled to Asia a few times, and last year I went to Shanghai for 10 days with my friends, but Beijing seems like its a whole other world from what I'm used too, the immense culture differences are going to be scary for my dad, and I wish I could go and experience them with him. So, I definitely will have to visit him loads of times in the 4 years he's going to work there, and I'm hoping that those experiences will teach me more just as those I've already had have done. China, as a country is confusing to me, so innovative and modern, yet so backwards at the same time. When you think China you think, technology, economy, and a world power...but then you also think oppression, communism, and third world vs first world. 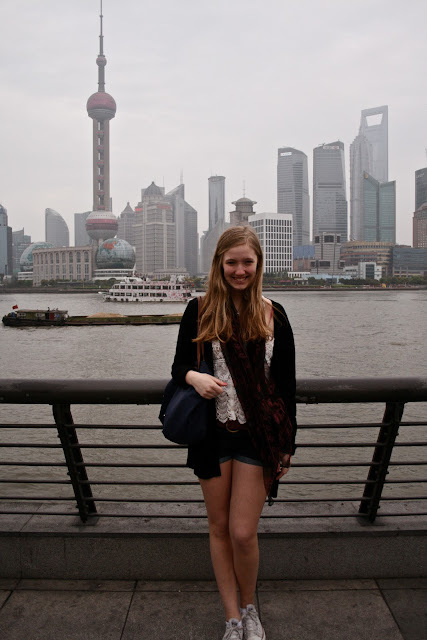 Going to Shanghai gave me a bit more understanding and knowledge, but...that was barely scratching the surface. The size of it all is what's scary, there are SO many people and voices, and no one is being heard. Is China the country with skyscrapers and city life like what I saw in Shanghai, or is it farmers and poverty like what I've heard of? Since its such a big country, I can't deny the fact that it HAS to be some kind of balancing act of both. There are too many people for many of them not too succeed, there are too many of them that not everyone can live in the capital, there are too many of them for there not to be class differences. Right? I don't know what to think about China, its such an interesting place, but its also scary, and makes me nervous.